Show your little one how to eat healthy, even while they pretend! We’ve shown you some cool things from Hip Kids before such as cubby houses and balance bikes. Now the cool bunch at Hip Kids sell pretend food that is just like the real thing and heaps of fun to boot. Made from wood and non-toxic paint, your kids are bound to cook up a feast in their little kitchens. 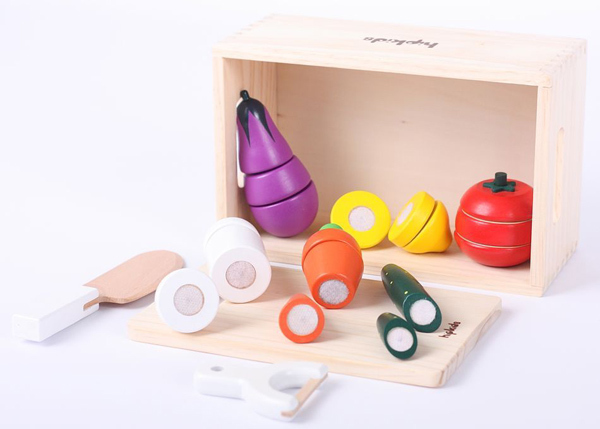 The Play Fruit Set has segmented fruits held together by Velcro so it can be cut up with the wooden knife. This set comes with six fruits (pear, kiwi, apple, peach, banana and orange), knife, chopping board and carry bag for $28.95. And how cool is the Play Vegetable Crate Set? Reminds me of the delivery boxes of fruit and vege I used to order. This set comes with cucumber, carrot, eggplant, parsnip, tomato and lemon, plus the crate, peeler, chopping board and knife. It costs $28.95. These days, kids imaginative play knows no bounds. 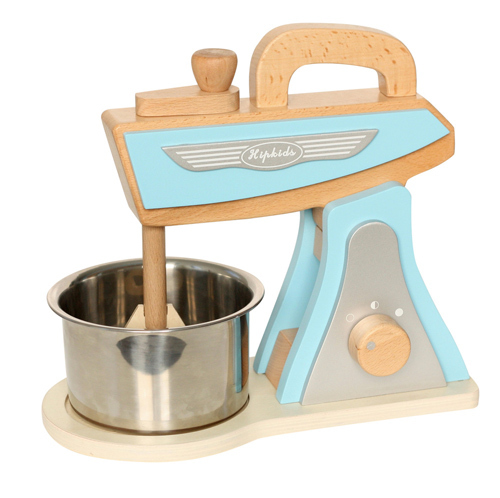 Take this Blue Retro Kitchen toy mixer. Any discerning junior baker will love one of these amongst their appliance collection. At $49.90, it includes a stainless steel bowl and the beater and control knob can be rotated by hand for fun imaginative play. It also comes in pink, red or white. Hip Kids not only make terrific pretend play food, they also offer a range of great combo deals. 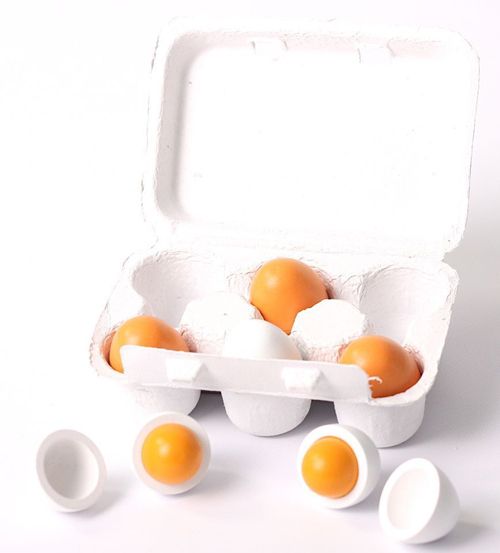 The $95 value pack includes the Play Vegetable Crate Set, Play Pot and Pan Set, Play Fruit Set and Wooden Play Eggs and Carton.